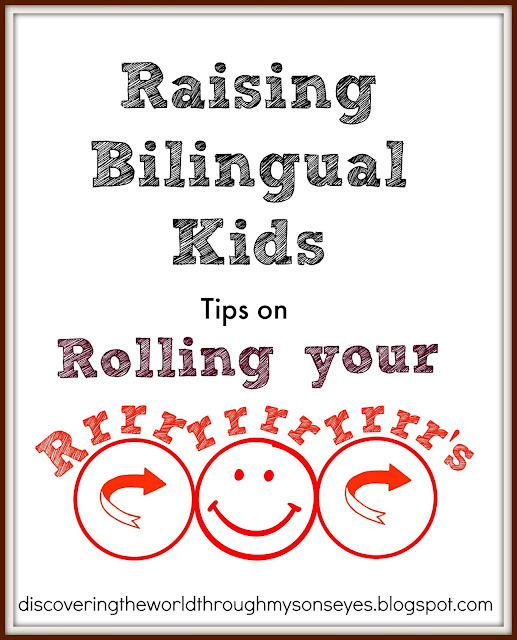 Thanks to technology and the worldwide web we have at our fingertips tons of resources on raising a bilingual child. For instance, in my case I am raising my child to be bilingual in Spanish. When I started our language learning adventure I scoured the web for resources, and many of the links listed here are blogs that I follow and admire. With that being said, I’m truly excited to share with you my favorite links on Spanish resources for kids. Thanksgiving is an annual celebration where families across the United States gather to give thanks! It is a time for family gathering, good food, and a time for gratitude. 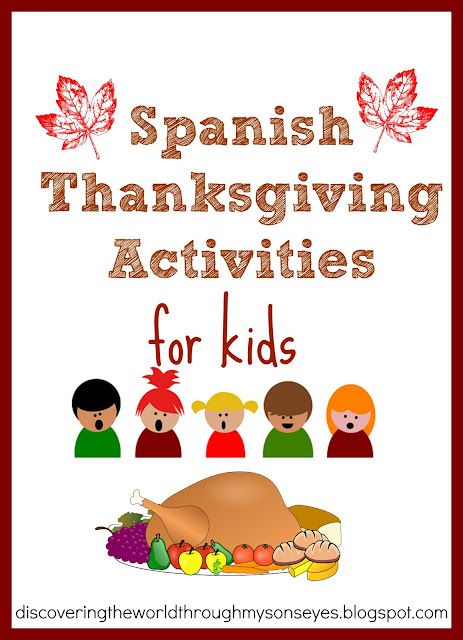 During this time the kids are also out of school so it’s the perfect opportunity for Spanish Thanksgiving Activities for your bilingual child. 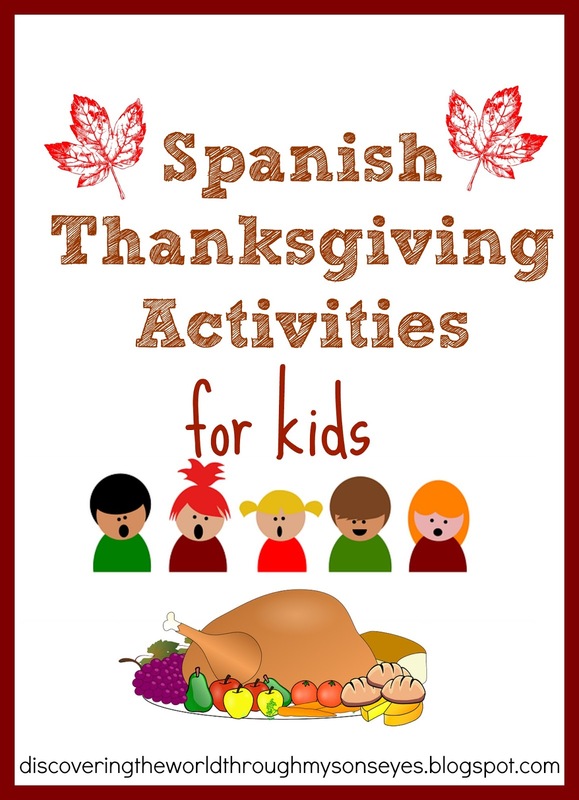 I’ve compiled a list of Spanish Thanksgiving activities for your kids. I love Hispanic Heritage Month! We celebrate the contributions of Hispanics and Latino Americans in the United States, the music, the food, and the culture. 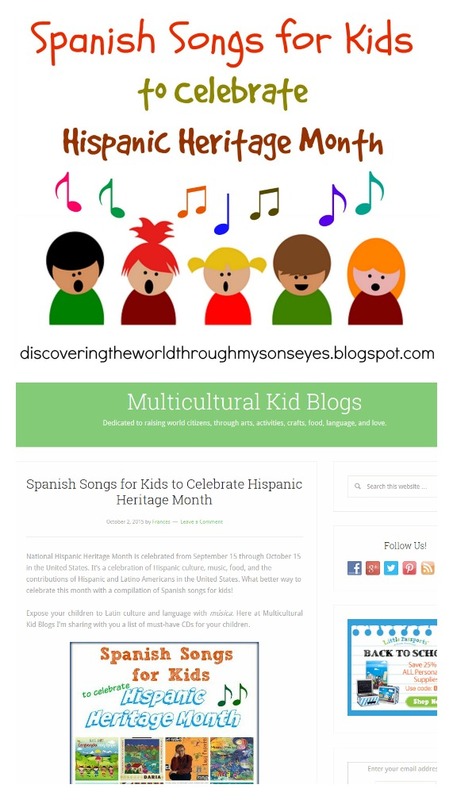 Speaking of music I am thrilled to share with you a post I wrote for Multicultural Kid Blogs on Spanish songs for kids to celebrate throughout this month. That is why I’m so happy to share our favorites with you on Multicultural Kid Blogs! Pssst make sure you scroll all the way to the bottom, and participate in the awesome giveway! Follow Frances @ DTWTMSE’s board Hispanic Heritage Month on Pinterest.